Add the perfect rustic accent table to your living room with this solid wood end table. Two doors on the front of this piece open to reveal a storage space inside. A pine frame with multi-wood panels is complimented beautifully by the hand wrought iron decorative hardware, giving this piece a hint of industrial style. Solid wood construction ensures that this eye-catching table remains in your home for years to come. 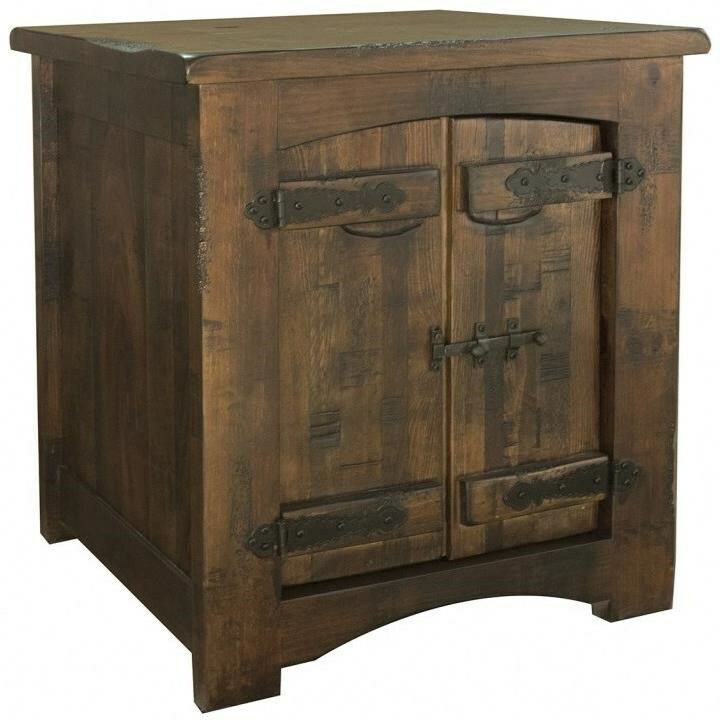 The Mezcal Rustic Solid Wood 1 Door End Table by International Furniture Direct at Zak's Home in the Tri-Cities, Johnson City, Tennessee area. Product availability may vary. Contact us for the most current availability on this product. The Mezcal collection is a great option if you are looking for Rustic furniture in the Tri-Cities, Johnson City, Tennessee area. Browse other items in the Mezcal collection from Zak's Home in the Tri-Cities, Johnson City, Tennessee area.